To have the aircraft parked for short periods of time, ready to fly in minutes, maintaining airworthiness or ready to fly in a day, under a complete preservation program. Ideal for seasonal parking where they can have space to park their entire fleet and perform activities such as training of TCP’s, Pilots, Aircraft Maintenance Technicians, as well as indoor refreshment or exterior painting. Lerida is a low cost environment, well communicated and favorable climate. To have the aircraft parked for longer periods of time, or in the search for new operators. An international airport, with MRO services available that will allow you to have the aircraft in perfect condition for new interested operators. Complying with the most stringent regulations in the industry and with multiple country certifications (EASA, FAA, Bermuda, etc. ), in a privileged place will allow you to keep your assets controlled and ready. When the convenience is the definitive withdrawal of the aircraft and obtaining the maximum value of the components of the aircraft, we have all the necessary facilities to carry out the complete scrapping of the aircraft, complying with the regulations. We manage all aspects related to the process, from the dismantling of the aircraft, certification, traceability, cleaning, packaging complying ATA-300, control in our warehouses with delivery to logistics agents or shipment to final destination. When an aircraft is between two operators, we have the ideal place to park and maintain the aircraft at that moment, allowing the realization of the corresponding inspections, documentary checks. We have CAMO and 145 services. We have the capacity to make modifications in interiors, physical and documentary inspections, support to the operation to carry out test flights. An ideal airport, where everything is close and there is no congestion. 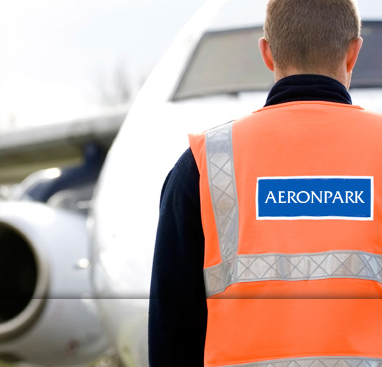 We have the ability to perform online maintenance for a large number of models and we have the ability to perform work in interiors and up to revision C.
The main commitment of AERONPARK is to rigorously comply with the most demanding quality standards in the services that we offer. We have the necessary human resources to offer services of high level of technological demand. We work under the strictest safety standards, reducing the risks of our staff and our customers.